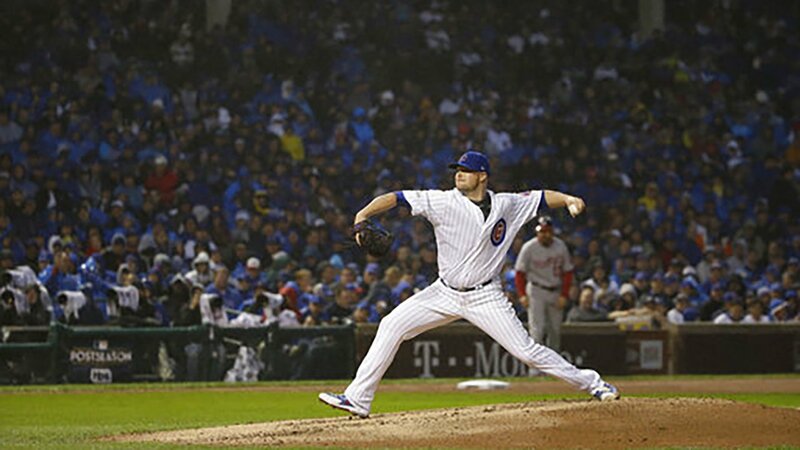 CHICAGO (WLS) -- The Chicago Cubs have named pitcher Jon Lester as their Opening Day starter. Lester will take the mound against the Marlins at 11:40 a.m. on March 29 in Miami. Lester, 34, went 13-8 with a 4.33 ERA last year with the Cubs, his third with the team. He gets the Opening Day nod ahead of returning Cubs starters Kyle Hendricks and Jose Quintana and newcomers Yu Darvish and Tyler Chatwood. The Cubs will play their Home Opener on at 1:20 p.m. Monday, April 9 against the Pittsburgh Pirates and will be broadcast on ABC7.